- A specialized manufacturer dedicated to offer optimal and ultimate mobile power solution. - Power your life and Charge your phone on the go. Ergonomic-designed sleek and compact body stays in the palm of your hand, charging your phone anywhere and anytime. Superior than any normal LED indicator, a smart LCD screen shows big digitals of the battery status from 0 to 100%. Compatible with iPhone 7 7s 6s 6 plus 5S, Galaxy S6 /Edge /S5 /S4 /S3, Note 5 /4 /3 /2, Nexus 5 /4, LG, HTC, MP3, MP4, Digital Camera, GPS, GoPro and other devices. 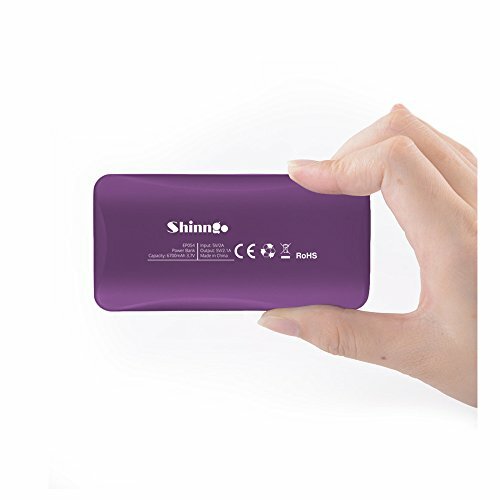 Whats in the Package --- 1 x Shinngo portable charger power bank, 1 x micro USB charging cable, 1 x travel pouch, 1 x user manual. If you have any questions about this product by Shinngo, contact us by completing and submitting the form below. If you are looking for a specif part number, please include it with your message.